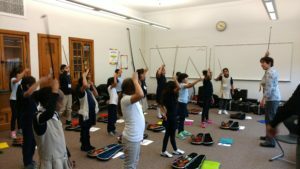 In October 2016, GTCYS launched Harmony, a new El Sistema-inspired music program in partnership with Riverview Elementary School on the West Side of St. Paul. Harmony started with 18 students in 3rd grade. 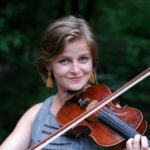 Led by seasoned violin instructors and GTCYS conductors Barbara Flooding and Mary Sorlie, the program provides violins, group lessons, performance opportunities on the West Side and at GTCYS concerts, mentoring by GTCYS students, and transportation home after each session. Though it takes nearly $3,000 per student to operate, Harmony is highly accessible with a suggested $20 participant fee per year, thanks to generous donors. In 2017-18, Harmony doubled in size to serve 40 third and fourth graders three days a week instead of two. 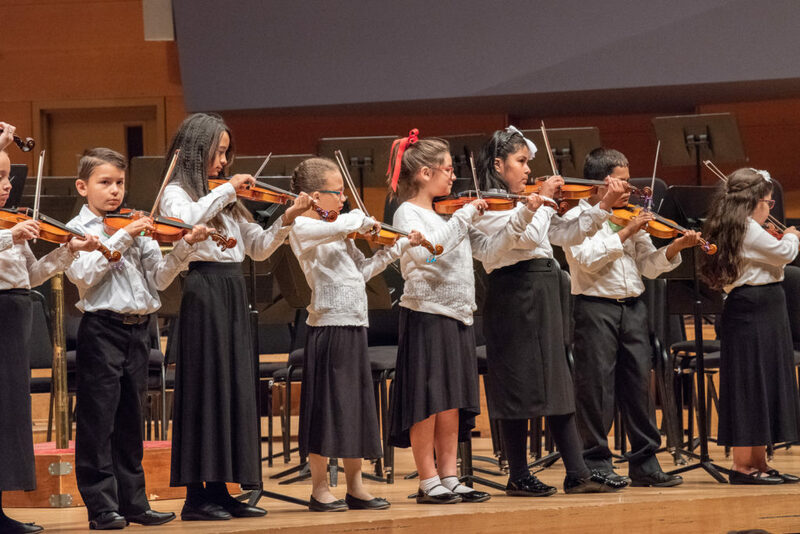 The addition of semi-private violin lessons with a professional teaching artist boosts students’ individual progress, while four performances – including at Orchestra Hall – provide incentive to excel. Harmony students are also inspired by a unique mentorship aspect with older GTCYS musicians who lead activities and serve as role models. Summer lessons and camp participation help students continue their progress. 2018-19 brings continued expansion as the program grows to 60 students in 3rd, 4th and 5th grade. 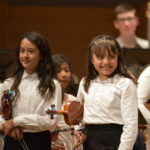 Our long-term vision is to create a beginning level Philharmonia West Side orchestra, so Harmony students can experience the benefits of playing in an orchestra in their own neighborhood. WIth continued support, Harmony alumni will eventually be able to move through GTCYS’ tiered orchestra structure, experiencing the full impact of GTCYS’ holistic programming and building valuable skills that help them succeed in school and beyond. Harmony rehearses after school on Tuesdays, Wednesdays, and Thursdays at Riverview Elementary School. Read about Harmony mentoring opportunities here.